Amanda from The Old New has a pretty amazing story. From kidneys to fertility, science to surprises and sustainability, through it all she has gained her small business, The Old New, in Wentworthville. 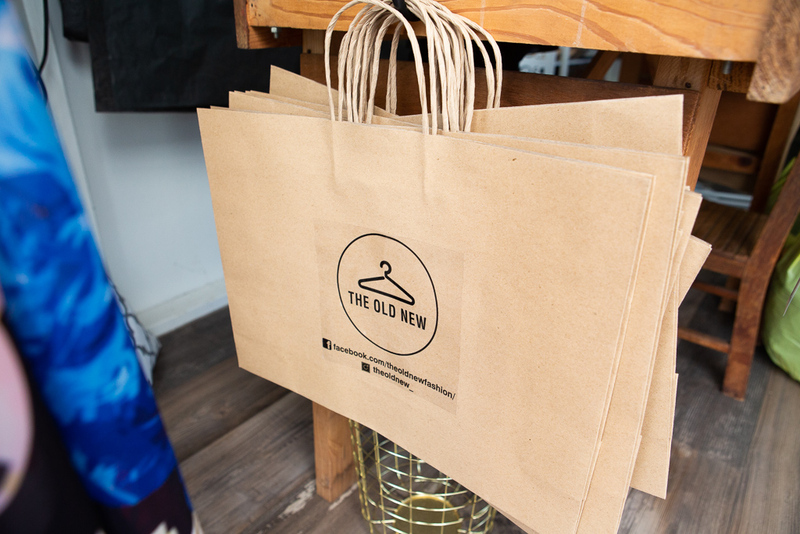 With the recent focus on sustainability and design, recycling clothing is more important than ever – and there’s nothing better than someone local offering you the chance to swap out your gently used clothing or those brand new, with tag items with something new to you. We chatted makeovers, renovations and life renewal. The Westies: Can you tell me what the concept of your business The Old New is? Amanda : The whole concept is to swap clothes rather than making more landfill. I keep it at a high standard of clothes, I have designer labels and items that are in really good condition- often the clothes have never even been worn before. People can bring their old clothes in and I give them store credit to use in my shop. The Westies: How did you come to purchase the business? The Westies: You have now have a great shop that used to be your garage, so it looks like you have progressed passed the garage sales? It was a massive surprise that my husband had known about for a little while and that’s what his, seeming procrastination was about. So, they renovated the backyard and the garage for me, my mum told them how I wanted to use the garage as a shop for The Old New. Tara Dennis designed most of it for me. It just was just the shabbiest old garage you’ve ever seen, before. The Westies: What did having the makeover done mean for you? Amanda: I’m immunosuppressed because of the kidney transplant so I shouldn’t be going out in too many public arenas. Having a space at home for the business means I have less exposure to bugs and other people’s germs and it allows me to be able to have time with the children who were both premmie and still have quite a lot of catching up with growth and development and lots of paediatrician appointments. The Westies: You used to work as an embryologist, can you tell me a bit about that? Amanda: I studied medical science at university and worked as an embryologist, helping couples through the whole cycle of having a child. From preparing them for what’s going to happen, trying to get to the point of ovulation and then making sure they were okay afterwards. I actually found it difficult to have children myself. Having a kidney problem since I was 18, I also had endometriosis and it just wasn’t happening. The Westies: How did that feel to you, working in that industry and then having issues conceiving yourself? I was really lucky, after a bit of a long road, including surgery and fertility treatment. I finally had my first baby, Scarlet. And then, not long after, we had Max. Even though I’ve been really unwell and all the rest of it, I’ve still managed to be able to fulfil my dreams of having a husband, a family and children. The other gift is having the kidney to have a second life. A lot of people that I’ve met in the clinic haven’t had that chance to have families and stuff; they’ve just been too unwell. Being on dialysis, you aren’t supposed to have children but I managed to somehow have two! The Westies: How wonderful, you definitely seem like one determined woman. Amanda: Life is really interesting, I was in the lab 18 months ago and now I’m looking at clothes. I guess recycling in it is a bit scientific as well. So, that’s my story. I don’t know if you were bargaining for that!